Captain Francesco Verdi is an officer in the Italian army who, at the start of the book, has just been captured by the Allies. It is 1944, and he is getting accustomed to chopping down trees on Michigan’s Upper Peninsula in a prisoner-of-war camp with surprisingly comfortable lodging and good food. He even captains the camp’s soccer team. But the Nazis are still in charge: fellow prisoner Kommandant Vogel is in perfect control, and ruthless. Verdi is one of few non-German POWs; when Vogel threatens his life, Verdi knows he is in real danger. Happily, two Italian women in the local town sympathize. By 1956, the protagonist is known as Frank Green, happily married to Claire and apparently doing well, with his own business in Detroit. But certain figures from his past are still at large, and an INS agent has been following him. Several vicious murders of other European immigrants nearby seem to be sending a message to Frank, and he realizes the past is not behind him. From the Upper Peninsula to Detroit, from Italy to Berlin, Smolens offers evocative settings, both urban and natural. Frank, Claire, and the many supporting characters are likable, if not terribly deeply developed. 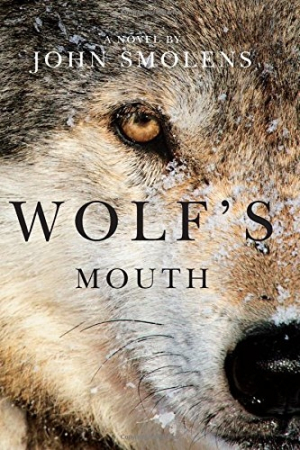 Dialogue and characters are credible but not a central feature; Wolf’s Mouth is very much a plot-driven novel, and in this area, excels. The action winds and weaves, covering an astonishing range of historical, geographical, and emotional ground. Romance and violence are well represented; other themes include the experiences of immigrants, survivors, and soldiers in peacetime; the role of an individual’s past in determining his future; and the necessity of revenge. Deceptively breathless pacing begs for a single-session read. Wolf’s Mouth achieves all-around success as suspense, action, love story, and drama combined with an international storyline for dynamic entertainment and historical relevance.